We're back already with a podcast on Commander Keen, as we're working through the backlog to get back on track with the regular scheduling. Thanks for bearing with us! So in episode of 9 of the DOS Game Club podcast, Martijn ("Tijn") and Florian ("rnlf") had the pleasure to talk with David ("DavidN"), who has been quite active on the forums. He also knows the Standard Galactic Alphabet by heart, so he's the right guy to discuss Keen with! 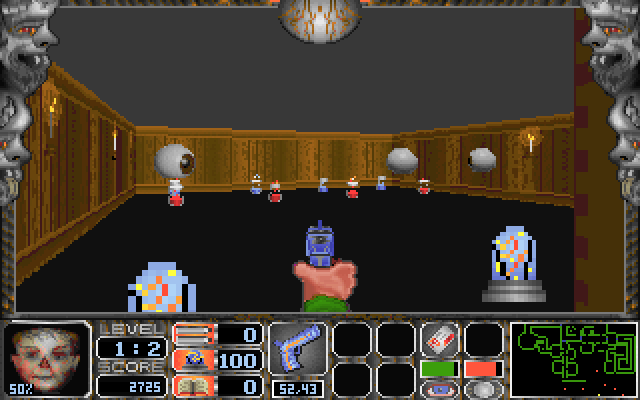 In October we've been playing David P. Gray's NITEMARE 3D, the family-friendly horror-themed first person shooter, starring Hugo (of Hugo's House of Horrors fame). We'll discuss that game in an upcoming episode of the DOS Game Club podcast shortly, so look out for that! 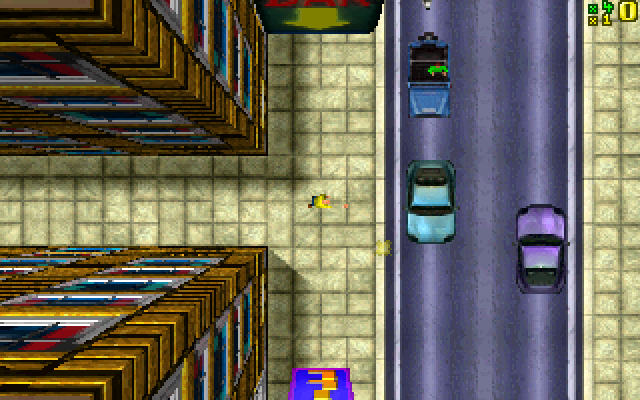 Meanwhile November is well in progress, and we have a great game to play: GRAND THEFT AUTO, by DMA Design from 1997. People have already been busy discussing this game over on the forums, so if you have anything to add, feel free to join in. If GTA is too hectic for you, we've got something more relaxed for December in the pipeline: THE INCREDIBLE MACHINE (Dynamix, 1993). This game is really quite unique, so discussing this one should be fun! We've got something new for you all: blog posts now have comments! So please, feel free to tell us what you think. If you feel like discussing our games more in-depth, there's still the forums of course. You can also hang out with us on IRC (on Afternet, channel #dosgameclub) and last but not least, you can follow us on Twitter. That's it for now. Until the next time!